If you are a new Bulldog owner - then you have come across the problem of choosing a proper name for your pet. Choosing a proper name for your Bully is very important, because you choose it once and forever - you will call your pet by his name till the end of his life. The name should show your pet's nature, his character and spirit, and underline his personal qualities - it should create an image for your pet. But you shouldn't forget that it says not only about the pet - it also says about you as an owner and a person, so choose it carefully. Let us give you some advice how to choose a proper name for your Bully. Before giving a name to your bulldog you should do several things. You should remember that dogs will recognize their names, that's why it should be simple and clear to him, because it will be easier for your Bully to remember it. However, avoid the names that sound like commands - your dog can mix it up with them. An ideal variant is a name that consists of two syllables. Check the name for a hidden meaning - you, of course, don't want your Bully to have a name with a hidden negative, strange or mocking meaning. And, finally, the cornerstone is appropriateness. It is recommended to observe your Bully for some days before giving him a name - and the answer will come of its own accord. Everyone wants to diversify his life. 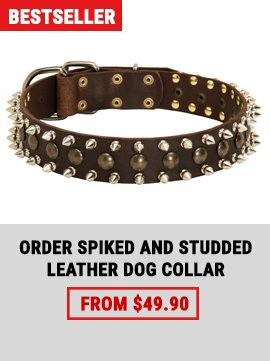 Your doggy isn’t an exception. As playing is an essential part of his life, our talented craftsmen want to color your English Bulldog’s life. 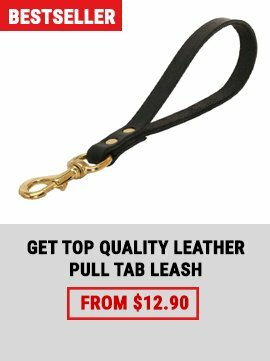 Except playing this Canine Tool will be perfect for training your pet. So from now a boring training will become an exciting game and entertainment for your beloved four-legged friend. 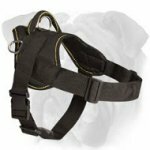 Stylish and fashionable, comfortable, light and soft harness for Your Bulldog will help to make your walk with your loved pet safe and supportive. 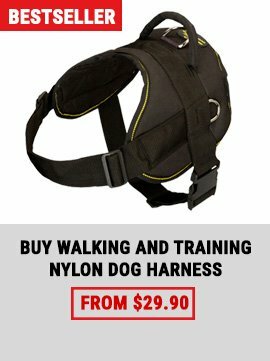 For those dogs who are not used to wear a collar we recommend to buy this Fantastic Padded Harness for English Bulldog.